Probably one of the most beautiful and enjoyable job with a really high salary. In order to receive your license, you need to study for at least six years: four years education (because you need a college degree) and two years training, and then you still need a lot of experience, meaning actual flight time. 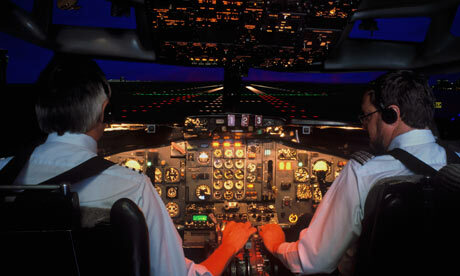 Then you can apply for different jobs that will gradually take you to your dream and you can become an airline pilot. The estimated yearly wage is approximately $130,000. Without a doubt, it is one of the most exciting job, however, it also requires responsibility and loyalty.